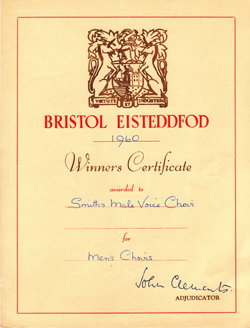 In 1976, the Choir competed in the HTV television mixed talent show, ‘Best In The West' in Bristol. In an inter-county contest, Gloucestershire was represented by the Smiths Industries team of performers. Nearly 50 choir members progressed through the competition heats and sang in the finals, winning first prize. The winner's trophy was accompanied by a cheque for £100 to be donated to charity. 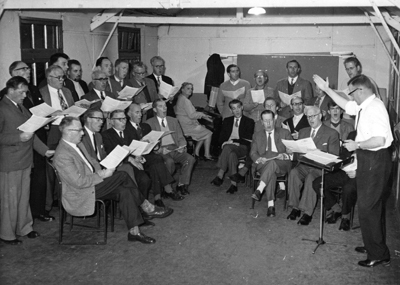 Informal, spontaneous singing was ever a characteristic of the Choir. Concert engagements didn't end on stage. Afterwards, in nearby hotels or inns, relaxed, lubricated singers performed an 'après-concert', the 'secondary performance' or, the more popularly known 'afterglow'. 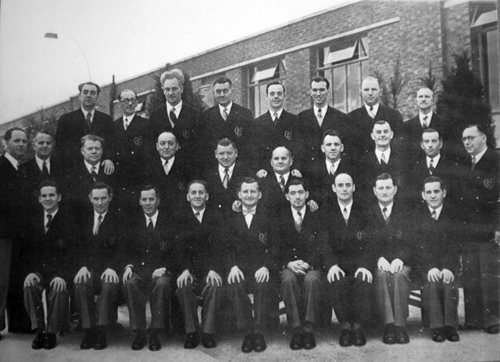 Having had great success over the years, the Choir was to withdraw from competition singing in the late 1970s. 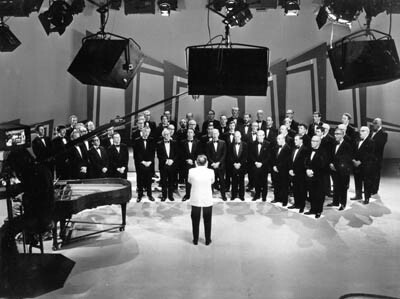 As the demand for the Choir grew, more time was required for concert rehearsals. 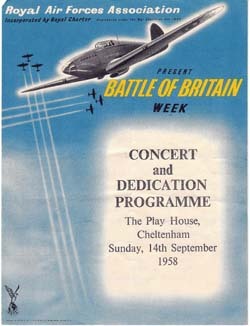 Note the programme price of 6d. 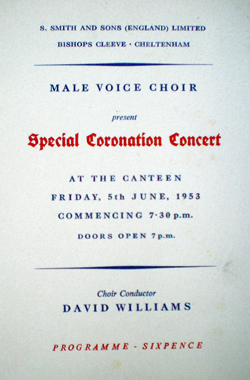 The spindle label from the Choir’s EP release in 1950. What would they have thought of today’s digital downloads and MP3 players? S. Smith and Sons (England) Ltd. at the Bishop's Cleeve site on 11th May, 1949 at 5.30pm. 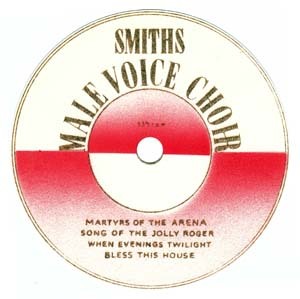 The agenda specified "for the purpose of forming a male voice choir", 18 persons attended.